Opti Temp Engineering is proud to announce the success of development efforts resulting in a new line of controllers to handle more integrated functions than our traditional single point controllers. 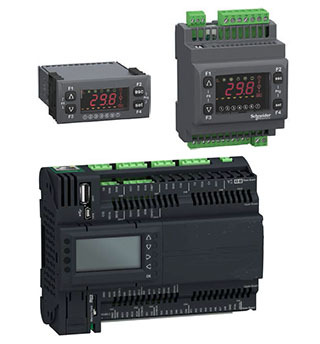 The change from a standard process controller to a Programmable Logic Controller (PLC) allows more integrated control functions. This advancement by Opti Temp eliminates discrete switching relays and timers that had been used. The change in the design opens up an integrated approach to our controls design, we can now run all signal and control functions through the controller resulting in less complex panel wiring and greater reliability. We are able to enhance our functionality without adding additional parts to the design using programming control logic rather than relay logic. The PLC allows for even greater flexibility in Opti Temp chiller design to meet our customer’s specific challenges.